Greek Prime Minister Alexis Tsipras and his government survived a confidence vote in parliament on Wednesday. It now paves the way for parliament to ratify an accord he agreed last year with neighbouring country FYR Macedonia (FYROM), to end a long dispute over Macedonia's name. Tsipras narrowly won the support of 151 lawmakers in the 300 seat parliament, meeting the threshold he had set to avoid calling a snap election. The Prime Minister said the win was a vote in favour of stability. Tsipras told journalists: "Today the Greek parliament gave a vote of confidence in stability.. We received a vote of confidence with our only concern to continue to address the needs and interests of the Greek people." Tsipras called the confidence vote on Sunday after his right-wing coalition partner Panos Kammenos resigned in protest over the accord. It had been debated in parliament for the past two days. However, opponents of the agreement say the new name is an attempt to appropriate Greek identity. Tsipras' four-year term expires in October analysts say though an election could come sooner than expected. "There is a large probability Tsipras will call snap elections in the coming months even if he wins the confidence vote. 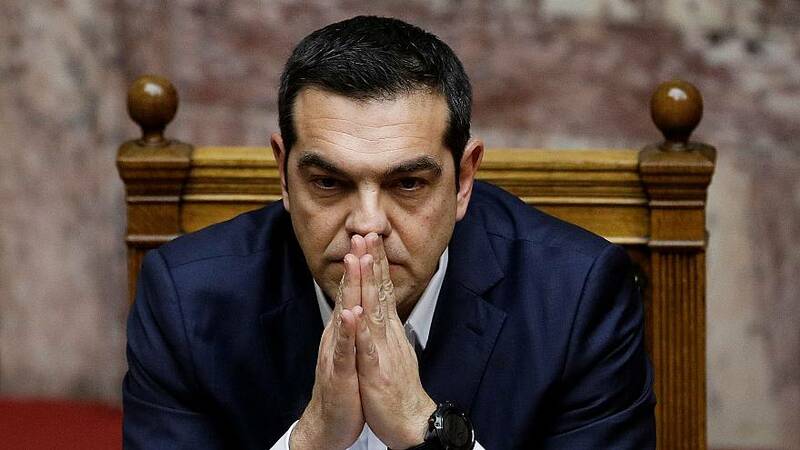 But by becoming a minority, and likely, lame-duck government, it might become more worthwhile for Tsipras to call early elections than to wait until October," Senior Economist at Rabobank Maartje Wijffelaars told Euronews.